Call me crazy, or overly Hopeful, but this looks delicious. 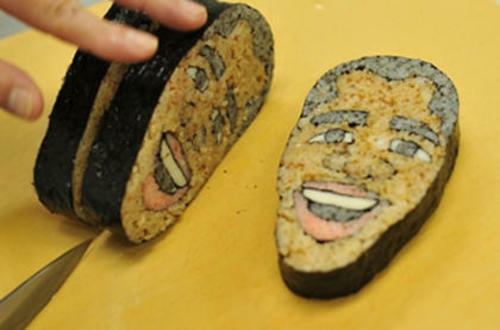 Japanese chef invents Obama sushi. *Note to Michele Bachmann: That’s how you can tell a socialist. Fish paste teeth give them away every time.